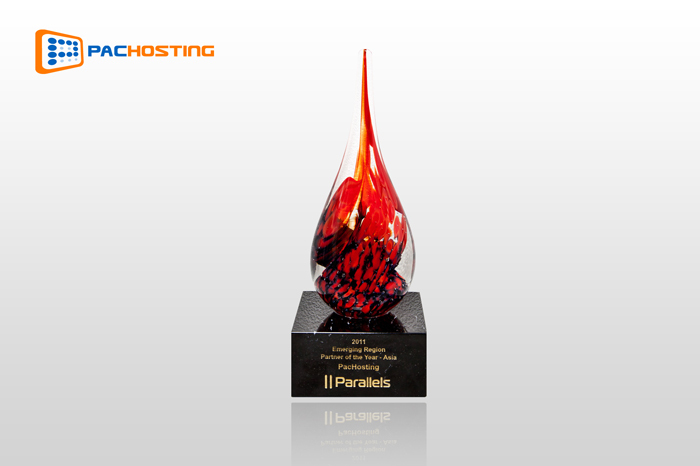 Hong Kong, 15 February 2012 - PacHosting is glad to announce we have received Parallels's 2011 "Emerging Region Partner of the Year award for Asia Region" at Parallels Summit 2012 held in Orlando, Florida, USA. The award is presented by Parallels annually among its partner ecosystem and this is the second consecutive year that PacHosting receives awards from Parallels. The "Emerging Region Partner of the Year award for Asia Region" recognizes PacHosting's significant growth in market share and the customer satisfaction in implementation of Parallels product, including Parallels Plesk Control Panel, SiteBuilder and many other Parallels products available in Asian market.